You would never believe, in all your wildest imaginations, what it takes to purchase a vehicle in a foreign country. Never mind that a used vehicle of certain brands are almost as much a new one in the states… It’s crazy. It has taken 4 months to find one… The RIGHT ONE… And almost two weeks to complete the deal. I don’t know the total number of people involved or how many offices were visited (Jeff is doing that part with the help of our pastor here). Saturday, we took the opportunity (since we now had insurance – again, that was a huge ordeal), to drive and see some of the city by ourselves. It’s been since January that we have arrived and we have either depended on a friend to take us, walked, or paid an Uber or taxi. I never imagined it would take from January 26 to almost May 1st to get where we needed to be–with a little more independence. If you’re privileged to have your own mode of transportation and can navigate with a certain amount of confidence anywhere you need to go, you are BLESSED…. So thank God for this wonderful opportunity. While we were out, we saw some familiar sights, and some not as familiar (New fellow sleeping in the door frame of the Catholic Church.). And the traffic? It’s still just as crazy as ever–the difference is, we are part of the crazy in a real way! Several times, while we were driving in the country (to a certain village), our road on the map we were following, just disappeared. Then at other times, it was hard to tell which way to go, and yet at other times, it would say “turn right or turn left” ….and low and behold, there would be a fence. Or there would be a field. How in the world do you navigate that?? There’s a very tall radio tower that can be seen from almost anywhere in the village, so once we got close enough to see that, although it was yet a few miles away, we could keep our eyes locked on the tower and keep forging forward. This journey has done some amazing and some very painful things. It has brought out the best and the worst. The worst needs driving far from us, and the best needs to just hold on–He’s doing something unexpected. No one can do this for us; only us. It was His voice who called, our ears that heard, His hand that leveled mountains to get us here, and it is only by His grace and mercy we are kept. I have found this to be the hardest thing ever, but I have found Him to be unimaginably faithful to His promises. Friends, I have no idea what you are truly going through today. Facebook and Instagram and all those great photo filters make it easy to keep the truth off the front page–but HE sees your front page every day–and He knows the last page. Take stock today. Dig into the Word and into your heart and let Him reveal what is needed in your life. I will tell you straight up, there will be some hard days…but the times you will draw even closer to God than you ever imagined are sown in tight to those hard days. For growth. But they that WAIT upon the Lord shall RENEW their strength; they shall MOUNT UP with wings as eagles; they shall RUN, and not be weary; and they shall WALK, and not faint. Isaiah 40:31 (emphasis mine). Did you notice the order of things? The mounting up is the exciting beginning. Then, the momentum is still there – so we are now on the run…running with the joy and excitement of this unbelievable journey…but let’s be honest here, it gets tiring after a bit. Then there comes that time in this journey when we are too pooped to party and walking is about all we can do, and sometimes it feels like a “limping walk”. We have a friend in Costa Rica who can “power walk” like nobody’s business. He was amazing and I loved to watch him, because I couldn’t even trot and keep up with him. The power walk–is not this walk. This walk is like the “air is heavy and hard to breathe walk, the falling down and skinning our knees walk, and it is affecting our gait…but HE still remains steadfast and faithful. NEVER leaving our side. If I can encourage you today, stay in the race. Wipe the sweat from your eyes (mixed with tears of frustration and pain) and let’s finish this! You with us? I hope so. I don’t want to see anyone left behind. *truck stats: a 4 door 4×4, 2011 Ford Ranger, 98,000 miles and priced at $15,000 (thank you to all who gave offerings and who continue to support us!!). We had a budget of $10k but our director graciously requested on our behalf an increase so that we could get this more dependable vehicle. We are so grateful! Blessed to serve with you! www.tinyurl.com/sendjeffandangie is the link if you wish to sign up to become a prayer partner or a financial partner (in any amount). Our prayer partners are crucial to this mission continuing. We are here. The Lord has been full of mercy- and has been gracious to my weary heart when I felt I would faint from all the newness surrounding me. Overwhelmed. That has pretty much summed up my feelings the last several days. I’m surprised He hasn’t obliged my behind with a swift kick. But again… He’s full of mercy and it’s new every morning. We went apartment looking yesterday and today – yesterday one out of three was a keeper – except for that little thing called a budget. To find something in a safe area And affordable I was beginning up thinking was nigh impossible. But God looked down and set us up. We had several – what I will call “prayer crisis”. When we got to the Miami Airport to leave, we discovered that my tourist visa had expired. And to get one at the airport requires certain documents. Well, you would have thought we knew that it expired – but since Jeff’s was a 10 year tourist visa we never thought to check mine… We assumed. Yeah yeah. I know. So there was a huge emotional deal going down in my head when we got to the airport checking in our bags. I asked a few prayer warriors to pray. Well…. They let me on the plane. Of course you must know it was not a peaceful flight like I had “planned”. Instead my heart was filled with anxious thoughts. 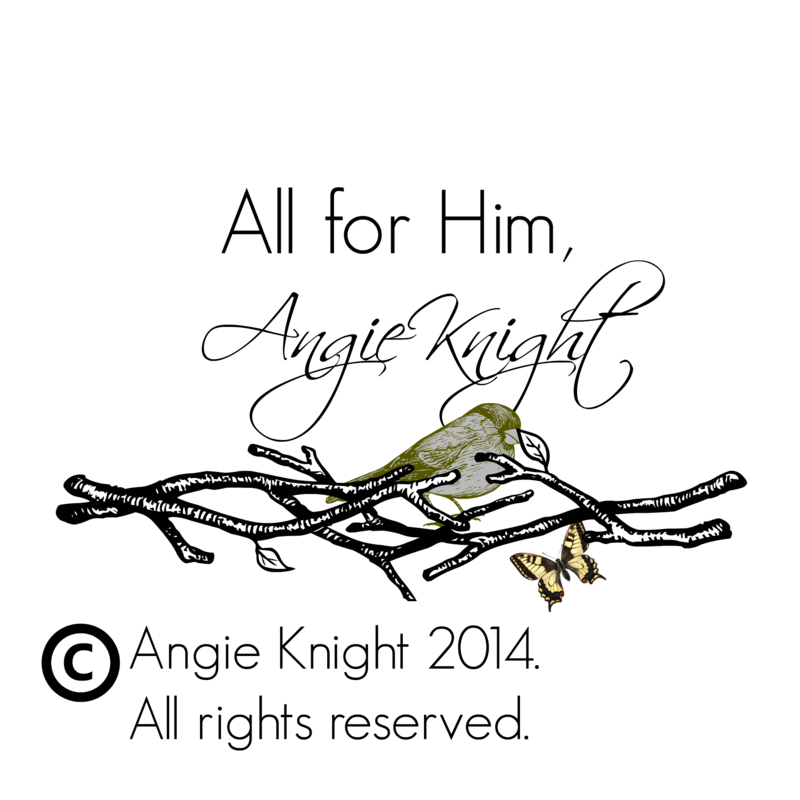 When we finally got here and deboarded the plane it was another ordeal and phone calls and anguish and tears – finally I was spent…. I was ready to go home and say “forgetaboutit“. I sat there in tears (while Jeff was – I’m not sure where, trying to get me in) and told the Lord “I’m done”. I said it twice for good measure. I was, as they say–being real with God. That very instant when I admitted to having NO abilities on my own, and our merits could get us nothing, the guy walked over who had told me my papers were no good and not enough–and he asked for them again and he made it happen. More than an hour after we landed, we walked out into the freedom of a tourist. There’s a LOT of spiritual lessons here once I unpack it all, but know this, God proves Himself daily. Every single minute of every day. We are grateful to a lot of people-both here and at home. Our prayer partners are relentless. And so is our God. My friend, Paola wanted to get Jeff to try something – her words were “have you proved this”?? He had not tried it… That’s us. Try HIM. Prove Him. He is trustworthy. It may not look like we thought…. I may not understand the whole process but His ways are eventually visible. One last note – we don’t have wifi yet, but we have phones. If you see our family – love them for us. Hug them. This is the Hardest thing for me because I love my family more than anything. I think that can often sum up the life of followers of God. To die to the desires of our own hearts and take up His. We are no different than you. Just a different assignment today. Have you ever wanted to do something that made a lasting impression? A good one. I’ve encountered my share of bad impressions, and they’ve lasted a while, but good impressions, I believe last longer. Good impressions live in the hearts and minds of others and in times of heartache, a good impression is often retrieved for comfort. Often in giving, the best feeling is knowing they don’t have to know who you are. The recording of your love and compassion is recorded for all eternity. The greatest joy for me, is watching these teachers receive what YOU gave. 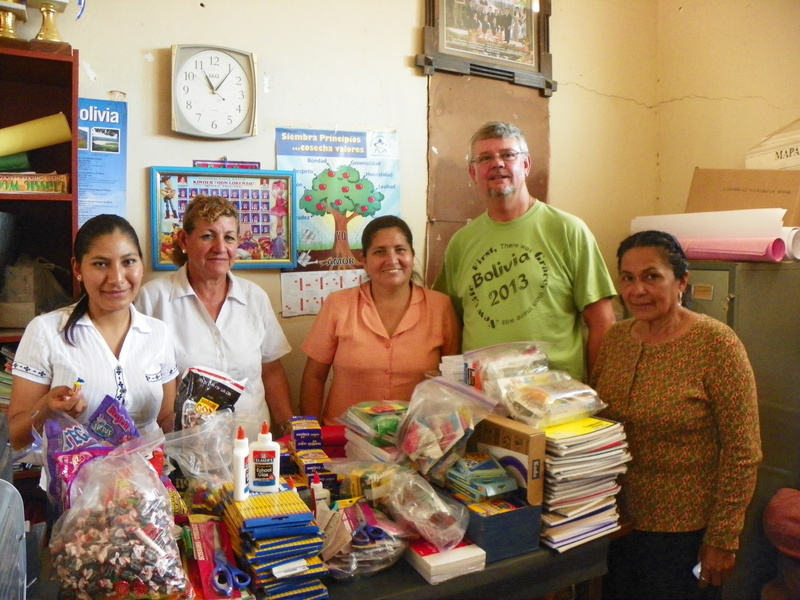 If you could see into the eyes and hearts of these teachers and the principal (standing beside Jeff), you would experience the joy of giving–as never before. It was like Christmas to these. Necessary items that our schoolers take for granted, these do not. We are so accustomed to running to the dollar store or local wally-world that we forget there are those who have no such luxury. Luxury? A trip to the dollar store? These teachers (and there are about 9 not pictured), have the joy of teaching and training the next generation–but they must do so with such limited income and in order to teach, most of them give more than just their time. They give their income. In order to have paper for the students, the teachers buy it. To color, write or draw, more often than not, the tool comes from the teachers. We discovered that in order to make copies, the teacher has to travel about 30 minutes to a neighboring town to make copies because the school had no copier or printer. The Lord supplied that need through someone who sent with us a copier for the principal. And several purchased print cartridges. This past year, we took more supplies and more printers. Three to be exact. So that the teachers could all have access to things that are needed in the class room. God burdened someone’s heart with that treasure for the school at Don Lorenzo. This year, we are traveling back, but to 4 different schools. We hope, through generous donations to be able to take supplies, and even a printer or two. The school supplies are of utmost importance. Through your gifts of crayons, pencils, sharpeners, rulers, glue, etc. 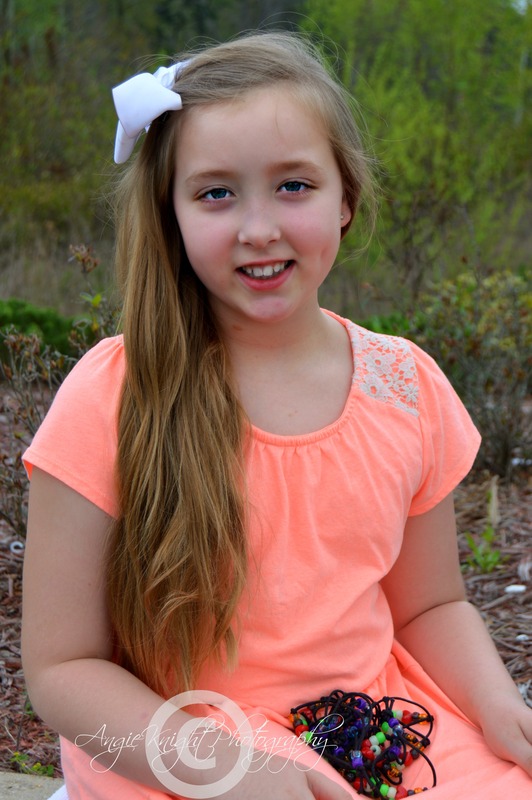 we are able to bless them and help with the education process of these growing children. 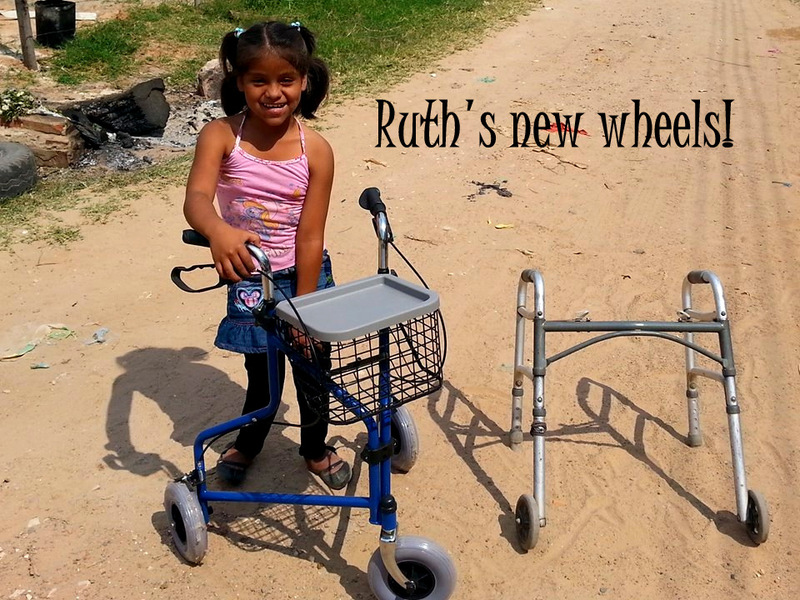 This little girl (Ruth), who every team member came to love in 2013, needed a new walker. We took up an offering among us and had enough to buy her a nice walker that will grow with her and help her navigate the dirt road where she lives–and we made a lasting impact on her life. We really never know what needs we will encounter that we aren’t expecting. But, rest assured, we always encounter needs. The needs are often more than we can meet. But with the help of friends back home, we can. It takes us all working together to bear the burden for others. So, maybe you have read all this and wonder, “what can I do to make a lasting impression”. I’m glad you asked! We are taking New Testaments, soccer balls with scripture on them, and school supplies. You may simply make your check out to Focus Forward Ministries, Inc. and drop it in the mail to Post Office Box 5773, Marianna, Florida 32447, and mark it Mission to Bolivia. We leave May 30 and hope to take boxes of generous love and donations to those we have grown to love and care about! IF you are near us and would like to drop off a box to us to pack with our belongings, you know where we live! We gratefully accept your support and prayers! And, if you know us well, you know that God has been working in our hearts for a “new step of faith”…and we sure would appreciate all your prayers. Really. Time is short–and our desire is to do all we can–with every breath in our bodies, until He calls us home. we want our impression to be Jesus. And He is everlasting. 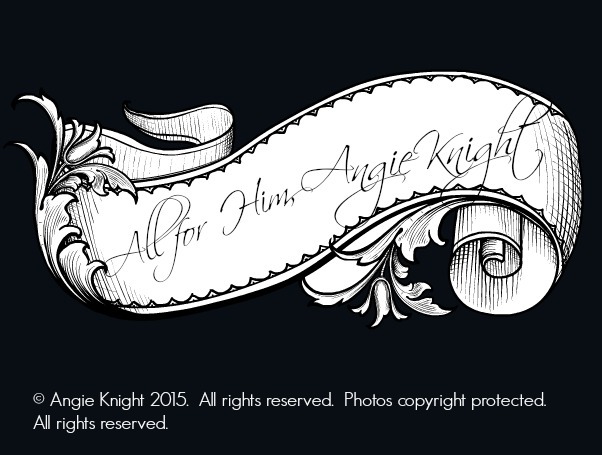 © Angie Knight 2015. All rights reserved. Photos copyright protected. All rights reserved. Sounds more like a Christmas post…and maybe it will be- but it’s been on my mind. The feeling from holding him. One of the guys from our ministry team is making Christmas ornaments to sell as a way to raise funds for upcoming projects and when I saw the ornaments, one ornament, emblazoned with His name, reminded me of the baby in Bolivia. And the Baby in Bethlehem. Every single one of us is drawn to the babies, and this was my one chance to hold him without one of the others trying to get at him. I held my hands out, he leaned in and I took him. Soft baby. Freshly washed baby fragrance, I inhaled deep. Remembering my own babies. And their babies. I asked his name. “Emmanuel”, she said. No translation needed. I felt my heart speed up with my writer’s mind whirling–I was “holding Emmanuel”. The other team members had oooed and aahhed over him, a few had held him–without knowing his name. But I asked–because names are important to me–I like to connect somehow with those that I talk with–even when through a translator. He leaned his little head on my shoulder and I began to whisper a prayer of thanksgiving for him, a prayer of protection, and for God to create in him a strong desire to serve and follow Emmanuel, God with us. Jesus Christ. Son of God. Tears (which seemed to come often this trip) burned, mixed with the dust that was flying that morning, I was so –so- so grateful to God for this moment. For me to recognize a “God moment”. To hold Emmanuel–we must recognize our need for Him. Holding Emmanuel is a privilege. We must seek Him. Just as the wise men and shepherds, we will find Him when we do. And, when we hold Him, it will change us. So that we all might have the opportunity…and there are millions who don’t know. Millions who have never been afforded the chance to hold Emmanuel. Never had an introduction. What are we doing about them? Dare we look in their eyes and say, “I’m sorry…. 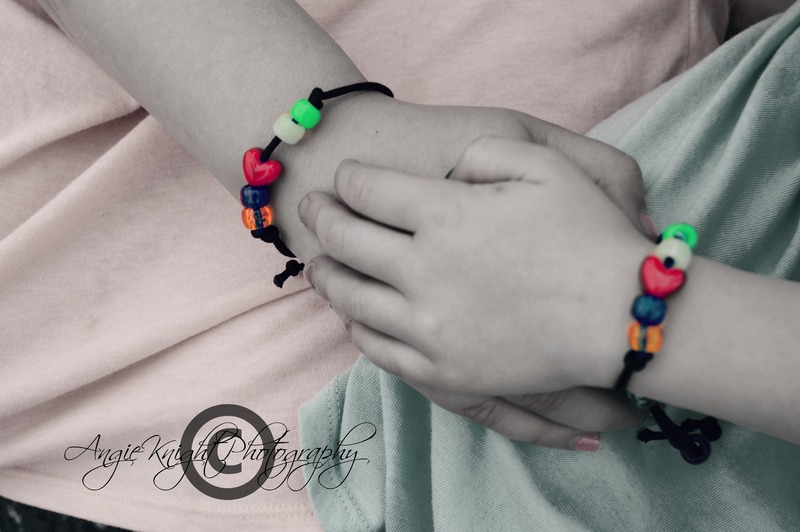 we cannot give you the chance to know Jesus…you live too far away”…. “Your life is too different than mine”. Those words won’t hold up in court. The Court. We will all stand for our own selves. And what we did when we were given the opportunity to hold Emmanuel–will come to light. Did we hold Him? Did we share Him? Give– so that others might know Him? Go so that others might See Him? Live? –so that others might want Him? Do we pray so that they might find Him? Holding Emmanuel changed me. I wanted to stay there–and help his mother. I wanted to be her friend. But I knew –for now, I couldn’t stay. I handed him back with a prayer and a promise that I would indeed do my part to see that others like him, and his mother–and those other little ones running around playing would have the opportunity to hold Emmanuel. And know Him. And serve Him. Father, I thank You for that trip. For all the things You showed us–and all that we experienced. I pray that we brought glory and honor to You and not shame in all that we did. I ask that the fire we felt in our souls that week–burn even stronger as we make plans to return–and make plans to go beyond the comfort zone of our lives–as we embark on unknown places to reach the unreached. Let our feet and hearts follow Yours. May we bring You glory daily–until we’re Home. In Your most holy name–Amen.